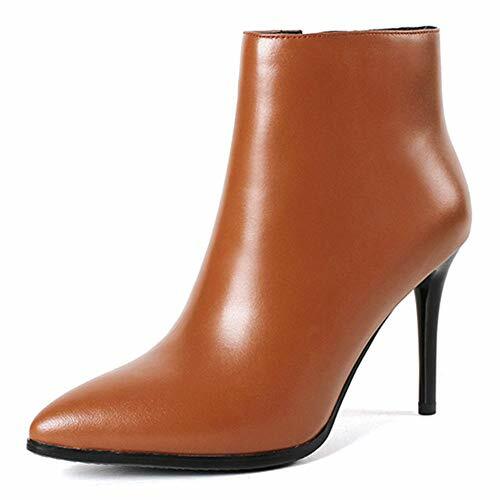 Women's new online fashion leather boots ,ankle high,mid-calf,knee-high,over-knee,for autumn and winter.Short plush lining. Heel height:heel height for US 8,may floating up and down by size. Material:Genuine leather upper and manmade leather for shaft. Fulfillment by VOCOSI:Shoes can be returned within 90 days,we will take the return shipping fee if shoes have any quality issue,as for other return reason,like color,size,customer should pay for the return shipping fee.